I thought you were supposed to keep the good stuff on the top shelf. I thought you were supposed to keep the good stuff on the top shelf., originally uploaded by biroschik2000. 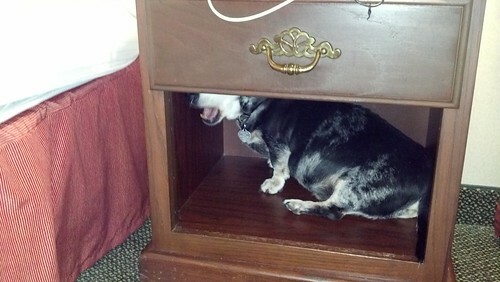 Merle loves pet friendly hotels.